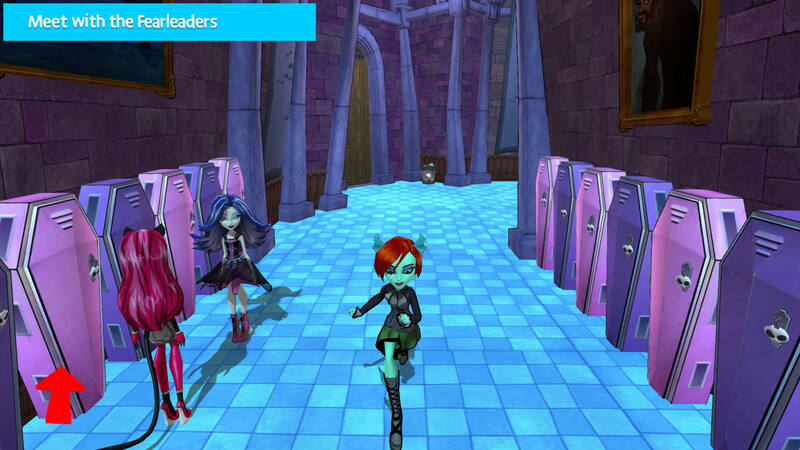 Come roam the halls of Monster High and get to know your new classmates. Join clubs, make friends and dress up in fierce fashions. But be aware, there’s something strange going on at Monster High! Cleo’s new amulet has been cursed by the spirit of Spookenhamen, and the student body is falling under his spell. Use your skills and savvy to help save the school and all your new classmates from the mummy’s curse! Be Yourself. Be Unique. Be a Monster. It should not be a surprise by now that licensed games are often released for younger audiences in order to milk the franchise, and are most of the time developed with a low budget that results in a cheap experience. As someone who played some of these games during my childhood, I was hoping to have a nice experience with Monster High New Ghoul in School despite being 19 years old, but this title was not an exception to that rule. Monster High: New Ghoul in School is a mixed bag. It's a game for a particular audience which includes some RPG adventuring and platforming elements to it, while maintaining its fashion doll sense. 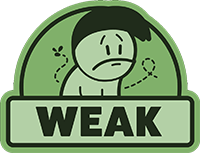 In a lot of ways it fails to do anything incredibly interesting, with the repetitive actions of fetch quests being one of its biggest offenders, and gameplay can become dull as it takes the most drab parts of RPGs and fits them in. The multiple narrative threads do make integration into its world fleshed out and interesting to a degree, though it should be noted once more that this would only be interesting for its specific target audience. Is it a downright terrible game? Not exactly, but it's definitely ghastly in various ways. Monster High: New Ghoul in School attempts to recreate a spooky universe, but only succeeds in bringing over its interesting characters, as dull game mechanics pave inevitable doom. While Monster High: New Ghoul in School makes very good use of the IP, it is still barely passable as a game. Fans of the show will enjoy the adventures as a new ghoul at Monster High, and being friends with Ghoulia, Spectra, Frankie, and the rest of the gang at Monster High will certainly be entertaining enough. However, there are gameplay issues which drag the score down a lot. It gets extremely boring going through the same corridors over and over again, and fearleading could not have possibly been designed worse. This makes Monster High: New Ghoul in School a title that is extremely boring to play through from start to finish, even for fans of the show.